The Heat has the distinct honor of being the only major motion picture that was released this summer to star women. In a season overwhelmed with super-men, child-men, amourous-men, and so forth, The Heat was a breath of fresh air when I caught it in the theaters. Starring Sandra Bullock and Melisssa McCarthy, their chemistry and willingness to do anything for the laugh and the punchline are what makes this movie (and the special features!) so damn enjoyable. While the female buddy cop genre isn’t exactly new (hello, Cagney & Lacey and Rizzoli & Isles), it’s definitely been under utilized in film as of late. What separates this from previous entries is that this doesn’t get bogged down in politeness or the pretty. Directed by Paul Feig, he wanted to make sure this was an R-rated comedy and they didn’t hold back on the language, the gestures, or the action. On the Blu-ray, not only do you get the hilarious film, it’s packed with extras that fans of the movie will love. The unrated version features extended jokes and scenes, and there’s even more of that in the special featurettes like “Mullins Family Fun”, which is just alternate jokes that were improved in the 6 hours they shot the family dinner scene. There’s also “Police Brutality” which is a hilarious compilation of Melissa McCarthy’s extreme behavior as Officer Mullins, but my favorite of the bunch is the “Acting Master Class” where it’s just Bullock and McCarthy being ridiculous and one-upping each other in the bar scene with the tape on their face. It goes on for a little long, but it’s so fun to see these two just being themselves and playing off each other. 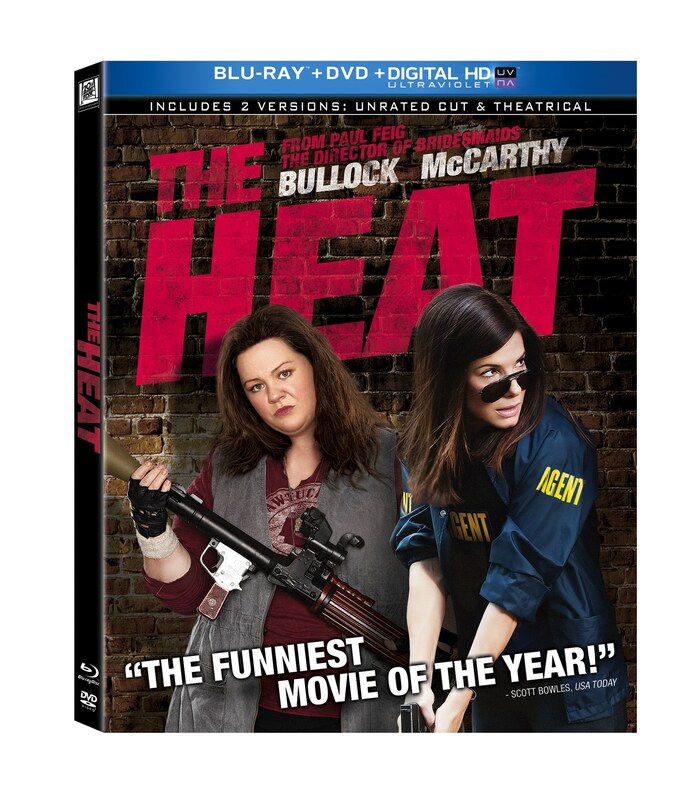 The “How The Heat Was Made” feature is great, quick watch for film fans that want a peek in to the behind-the-scenes of filming, including everything from early stage script changes, making Boston a character of its own in the film, and filming explosions. 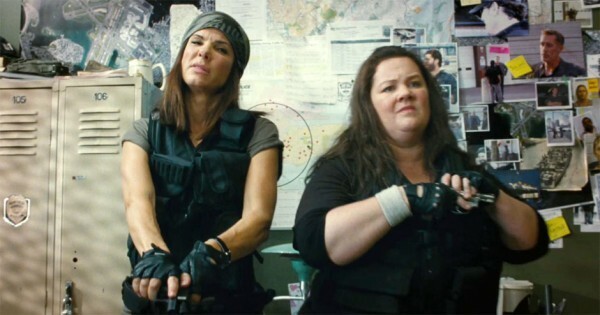 Oscar Winner Sandra Bullock* and Oscar® Nominee Melissa McCarthy** are a “dynamite duo” (George Pennacchio, KABC-TV) in this outrageously funny comedy from the director of Bridesmaids, Paul Feig. Uptight FBI Special Agent Sarah Ashburn (Bullock) and foul-mouthed Boston cop Shannon Mullins (McCarthy) couldn’t be more incompatible. But when they join forces to bring down a ruthless drug lord, they become the last thing anyone expected…buddies. The Heat is available on DVD and Blu-ray from Amazon.